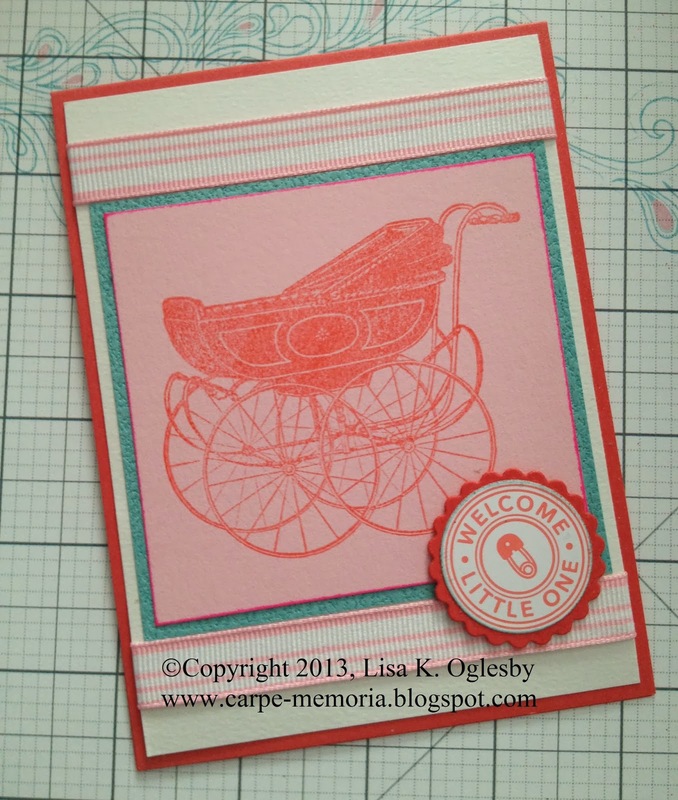 This month's Our Daily Bread Designs challenge for OWH is wheels. There are some fantastic cards already submitted, and you can see all the other entries here. I decided to play with two different "wheel" stamps. The first card has all Club Scrap materials (except the brown brads). 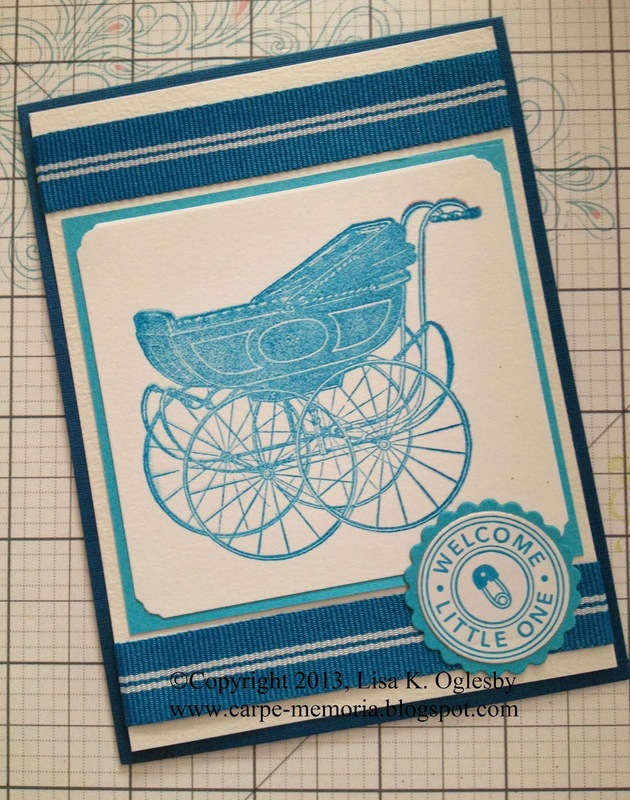 The papers and ribbon are from the Random Doorways kit (January 2013). The bicycle and tire tread stamps are from Wheel & Sprocket (August 2006), while the "got adventure?" stamp was part of the Great Outdoors collection (October 2007). 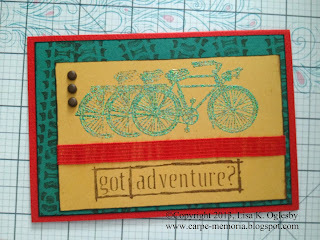 To add a bit more texture to the card, I embossed the bicycle with the verdigris embossing powder that was included in the WOW Christmas 2012 package. 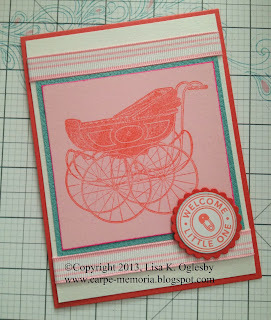 When I ordered some OWH stamps from Stamper's Best, I found this really cute vintage pram stamp. 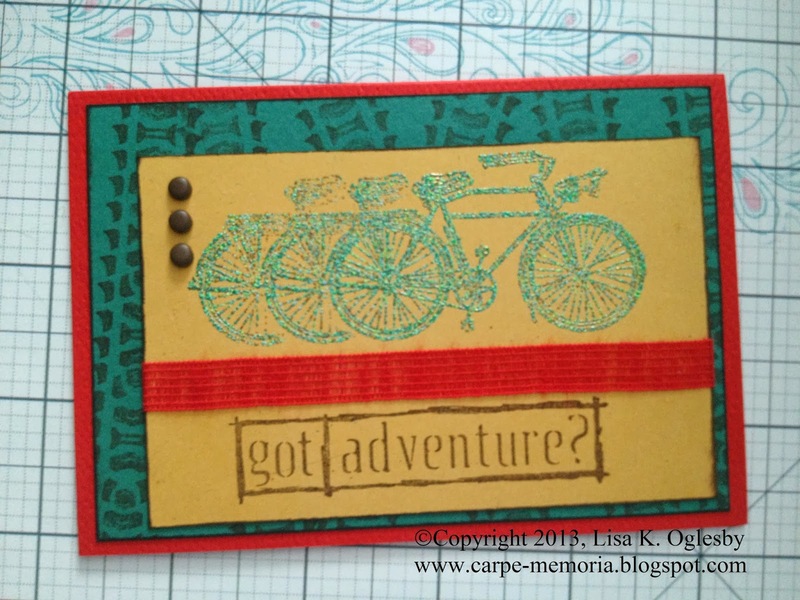 These cards were made with various CS papers and Stampin' Up! ribbon and welcome stamp. The cards are simple, but sometimes it's nice just to play with a bit of paper, ink, and ribbon--back to the basics of stamping. 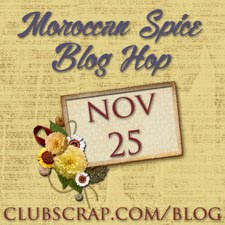 I'm looking forward to seeing what October's Our Daily Bread Designs challenge will be! I love how you made the bike look like it was moving. That's the stamp, Marianne. Isn't it cool? !